Alec Rourke wasn't going to waste a night out on the Strip, not even if his friends skipped their own co-ed bachelor-and-ette party. But he never expected to find a plus-one for their wedding—his new wife. Alessia Valenti was having the worst day ever. Fired from her job. An eviction notice on her door. Her sister dragged her out to blow off some much-needed steam. Only she hadn't planned on a stop at the wedding chapel with a hot hockey player. 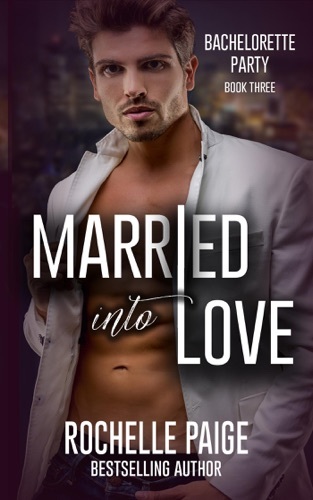 Married Into Love can be read as a standalone. Each book in the Bachelorette Party series features a different couple. Do you love Married Into Love book? Please share! There was no real challenge to this book. There wasn’t any complications to the story. This was a straightforward read, which was boring. Married Into Love - Rochelle Paige E-Book coming soon..